The legendary American rock band TESLA premiered new track, “Taste Like”. TESLA will release their new studio album, SHOCK, worldwide on March 8 via UMe. The album is available now for preorder in CD, digital, black vinyl, and limited edition translucent blue vinyl formats; Produced and co-written by Phil Collen (Def Leppard), SHOCK is TESLA’s eighth studio album. TESLA is actively touring across North America, Europe, and elsewhere around the globe throughout 2019. For tour dates click HERE. “TESLA had a blast recording SHOCK with Phil Collen. The band were on point and the songs evolved with all of us having creative input. “Taste Like” is a driving rock song that made Dave’s fingers bleed during the recording process!”- said the band. For merchandise and bundle packages, click HERE. One of the world’s most celebrated and enduring rock bands with a diehard, loyal fanbase, TESLA has enjoyed international chart, radio, and tour success for nearly 35 years, with global album sales topping 15 million. 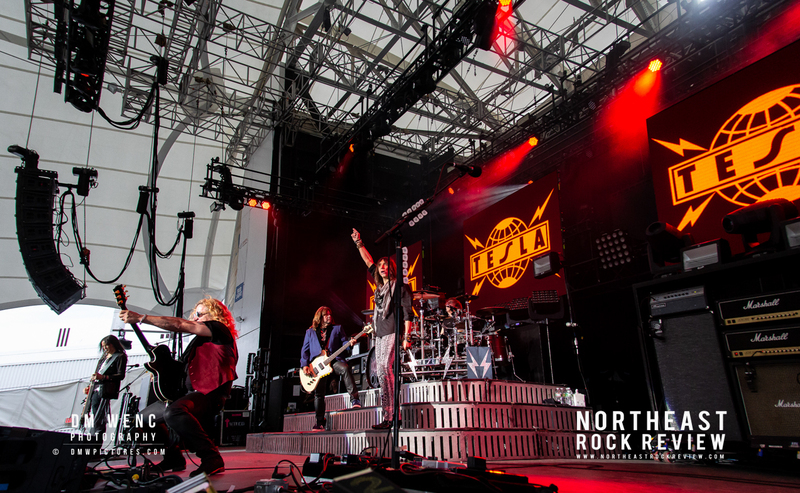 TESLA’s legacy is alive and well as they continue to record and sellout venues all over the world. As worn in and comfortable as your favorite pair of jeans, as tough and dependable as your coolest leather jacket, TESLA endures because they are a celebration of the greatest spirits of rock and roll. TESLA is always ready to rock, and they invite everyone to join them with SHOCK.